Everyone occasionally loves an excuse not to cook. Whether that means going out to eat or ordering takeout, restaurants are a big part of many people’s lives. But for those who own, operate or work in restaurants, restaurants are their entire lives. 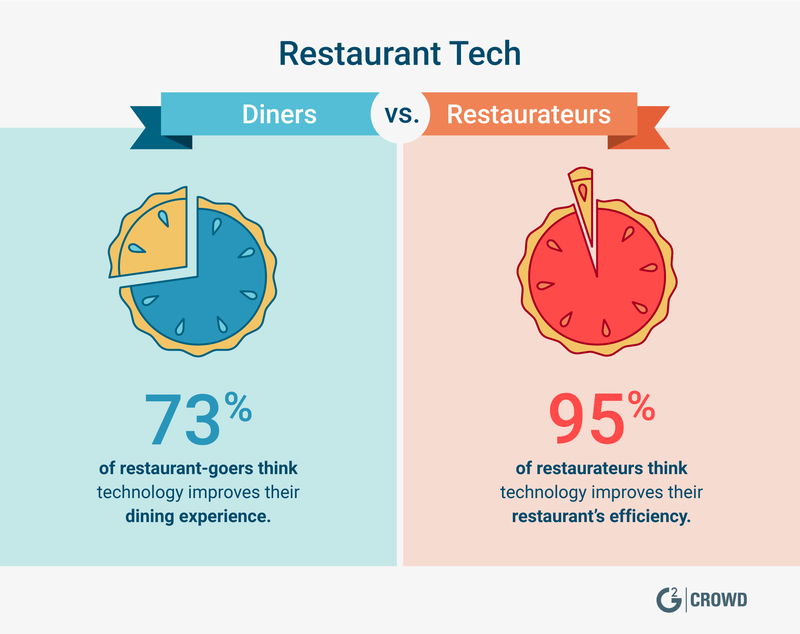 Technology affects everyone in this day and age, and restaurants can live or die based on the technology they implement. From restaurant management software to restaurant delivery and takeout software, technology can manage almost any aspect of a business. With $799 billion in restaurant sales in 2017, the restaurant industry is big business. According to the same source, restaurant workers make up 10 percent of the total US workforce. One in 10 people working in the US works in a restaurant. That’s huge. Imagine the massive impact restaurant technology has had on these people’s day-to-day lives. Let’s take a look at the menu, shall we? Restaurant reservations software may integrate with restaurant management systems or restaurant POS software to make it even easier to organize reservations and guest profiles. Many restaurant reservations platforms offer web pages or widgets that can be added directly to a restaurant’s website, allowing diners to make their own reservations online. “I like that people can make reservations on their own and we can still see it and we can put in reservations as well. It’s all-in-one system. Also the floor plan and being able to preassign tables is nice.” — OpenTable Connect review by Katie C.
“You can put yourself on the waiting list before you get to the restaurant. You can see how many people are in front of you. It tells you if there is a wait at a restaurant.” — NoWait review by Evan W.
Restaurant management software is the workhorse of the restaurant tech ecosystem. It can do it all, from front of house to back of house and everything in between. Restaurant management systems may include point of sale (POS) features, accounting features, employee scheduling features, inventory management features, online ordering features and reservations and table management features. For a restaurant owner or manager, restaurant management software can be a one-stop shop for all of one’s software needs. Smaller restaurants in particular can benefit from using restaurant management systems, because it saves them from buying multiple, separate software solutions. “I love that Toast is extremely easy to use and has many features for back of house such as inventory tracking features.” —Toast review by Ashley S.
“Aloha has industry-leading functionality and interfaces with most third-party software. There is generally local support available, either through a dealer or independent contractors. Restaurant staff has probably used it before and is familiar with the functionality. Config Center is a great tool for managing menus” — Aloha POS review by Steve B. “Managing schedules, time off requests, shift swaps, etc., are very easy to manage in Jolt. And all of the owners and managers have access to this even though some of the owners live out of state.” — Jolt review by Eric K.
Much like restaurant management systems, restaurant POS software is crucial to the smooth operation of a restaurant. At its most basic, POS software simply provides a means for servers to ring up diners. However, seating guests, placing orders, splitting checks, applying gift cards and more are all made easy by using restaurant POS software. Today, many restaurant POS systems can run on mobile devices such as iPads and other tablets, providing the option for servers to place orders tableside rather than at stations. According to Toast’s Restaurant Technology in 2017 report, 61 percent of diners agree that server handheld tablets improve their dining experience. For restaurateurs, the most important restaurant POS features are ease of use, depth of reporting and inventory reporting, so they look for tools that include integrations for credit card processing, accounting and inventory management solutions. 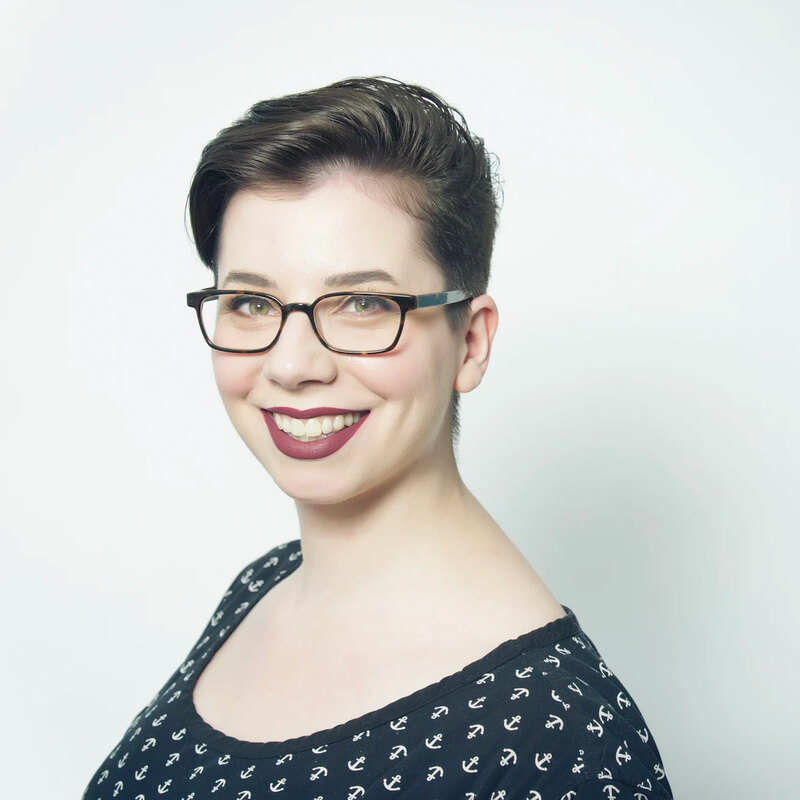 “I have been on both ends of this service and I would have to say my utmost absolute favorite part of this POS system is truly that once you get up to the cashier, your food or coffee is already waiting for you since whilst standing in line, the wait staff can take your order right then and there! It's so incredibly easy to use, and easy to understand.” —TouchBistro Restaurant POS review by Ashley K.
For many restaurants, a healthy takeout business can be either a great boost to business or even a cornerstone. A s of the summer of 2017, online ordering made up 43 percent of all food delivery orders. Among millennials, 79 percent have ordered takeout via a website or app, which is 29 percent more than adults over the age of 45. And if those stats aren’t impressive enough, 34 percent of diners polled said they usually pay up to $50 when ordering food online, which is impressive when compared to the average per-person spend of $16–$30 in a full-service restaurant. So, how does one add online ordering to one’s restaurant? Restaurant delivery/takeout software is a great place to start. It’s possible to find a restaurant management system or restaurant POS software that includes a delivery feature, but the easiest method is likely finding a dedicated tool or marketplace that will ensure potential customers can find your restaurant online. Many of these solutions can integrate with the software a restaurant is already using, so the addition is relatively seamless (no pun intended). “High integration with any kind of stores. E-payment integration. Your own store online without typing a single line of code.” — DeliveryBy review by Gianfranco C.
Inventory is by far a restaurant’s greatest expense as well as its greatest liability. Restaurants allocate 25 to 35 percent of their operating budgets to food, so food that spoils or simply goes unused because of an unusually slow week is lost money. Four to 10 percent of food purchased ends up discarded before ever seeing a guest, so do the math. Restaurant inventory management & purchasing software empowers restaurants to make informed food purchasing decisions and reduce food waste by maintaining real-time inventory information. Reporting helps restaurateurs see trends in their food usage and maintain records of recipes and the ingredients required. In a sometimes chaotic kitchen, tools that equip users to make smart decisions and save money can be incredibly powerful. While this space may be small at the moment, it’s definitely a growing part of the restaurant tech ecosystem. Some restaurant management systems and restaurant POS software include inventory management features in their tools, but a dedicated solution is much more robust than a feature on a larger platform. Restaurants are notoriously difficult to keep afloat, partially because they are extremely complex businesses to run. There are so many daily metrics to keep track of, it can become overwhelming. Restaurant business intelligence & analytics software can help restaurateurs stay on top of their business and plan a path to success. According to Toast’s Restaurant Technology in 2017 report, 78 percent of restaurateurs check their sales data daily and value depth-of-sales reporting highly. While many restaurant management systems and restaurant POS software include reporting features, a dedicated, in-depth tool has the ability to provide even more insight by collecting data from all the software a restaurant uses and compiling comprehensive reports. 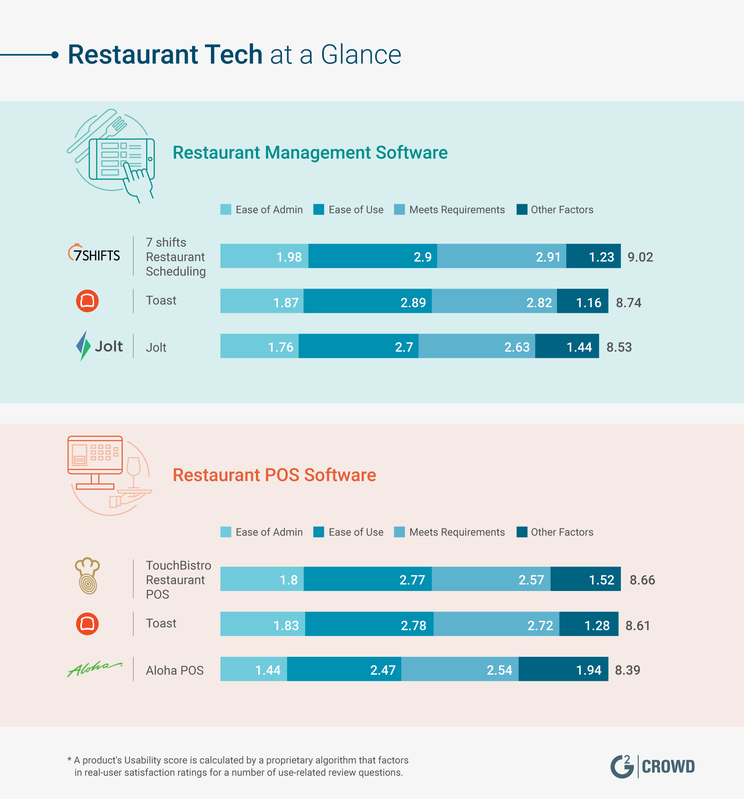 This is also a growing space in the restaurant tech sphere, and some products are even venturing into predictive analytics to provide even more forward-thinking tools for restaurateurs. Knowledge is power, as they say. The restaurant industry is huge, and that means there are many opportunities for technology to come in and optimize the space. While restaurant tech might conjure images of restaurants run by robots, that’s not something we need to worry about any time soon. In reality, restaurant tech mainly works behind the scenes to help restaurants run smoothly. And the space is only growing. Every restaurant is different, so the software solutions needed vary for each business. If you’re interested in the state of retail technology, check out The Traditional Storefront Is Dead: Long Live the Retail Technology King.